I am still finding birds at Greens Bush nesting, looking for suitable nest sites and feeding juveniles that have fledged and left the nest. 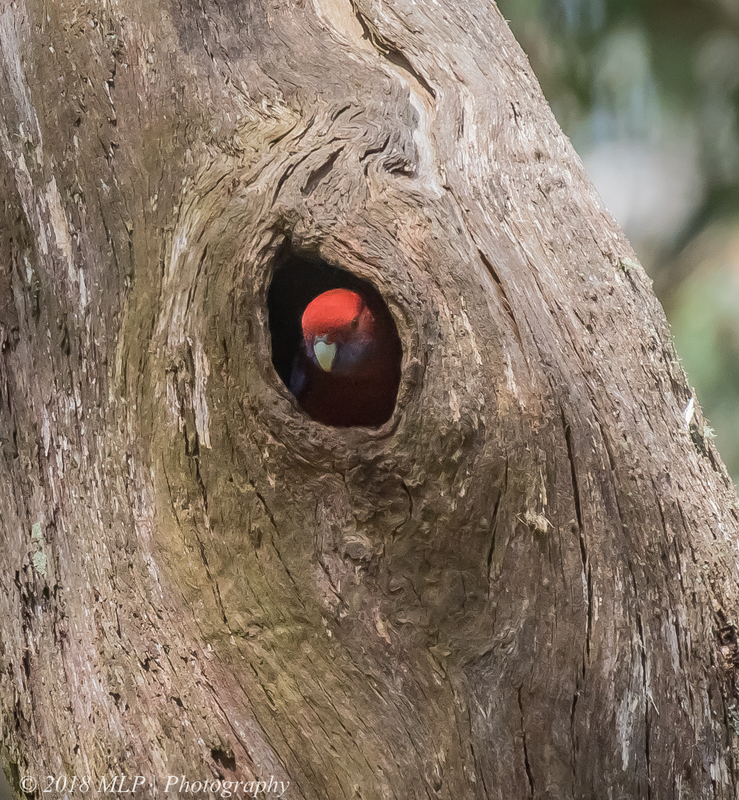 I found this pair of Crimson Rosellas (below) inspecting a Eucalyptus hollow. One was hopping in and out of the small hollow while its mate stood watch nearby. 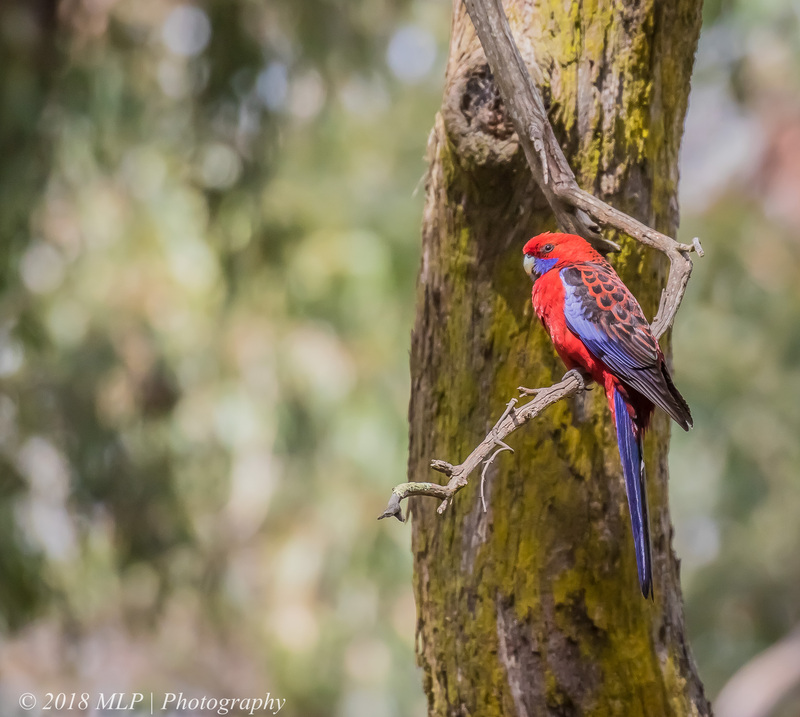 This entry was posted in Birds, Victoria and tagged Australia, Australian Birds, Bird Photography, Crimson Rosella, Greens Bush, Mornington Peninsula, Mornington Peninsula National Park, Nature Photography, nesting, Photography. Bookmark the permalink. Beautiful, Malt. Using my imagination, the first photo looks like a closeup of an elephant’s head. Look. yourself. Did I convince you? Thanks Steve, they are an impressive species and quite musical with a variety of calls. Not sure about the elephants head – maybe if the red head is the elephant’s pupil. yeah, now I am seeing an elephant.. It is a great turn around Malt to see birds nesting again despite the drought. The recent rain has given them some confidence, though numbers are still down. The dry winds of the next few days may offer a new challenge as the birds need fresh water nearby to successfully nest. Down here it is more about the nesting hollows and mature trees than water, the local creek in Greens Bush runs all year round, and the rain down here has been fairly consistent this season. I think it is has been a fairly good breeding season, seen a lot of juveniles.